After a long period of work, i’m here to announce that finally WebApp Online Setup Data Sheet for Team CSO! - can choose sharing level between Private or public. Public setups will be available to all other logged users. 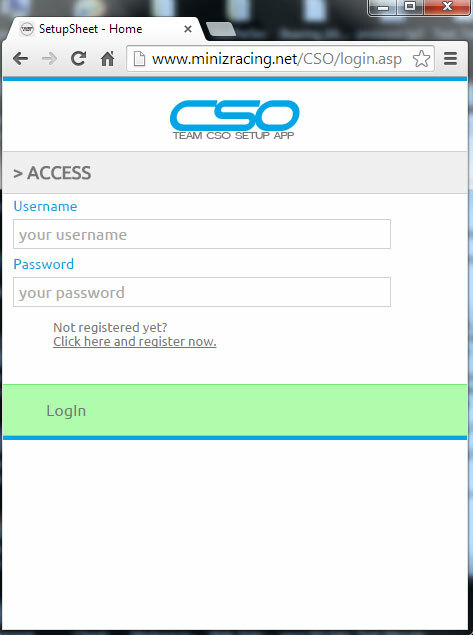 - can complete your setup at any time, all progress are saved! Facebook Team CSO Setup Sheet! This entry was posted on giovedì, ottobre 9th, 2014 at 16:39	and is filed under WebApp Setup Team CSO. You can follow any responses to this entry through the RSS 2.0 feed. Responses are currently closed, but you can trackback from your own site.